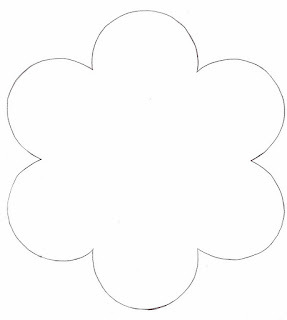 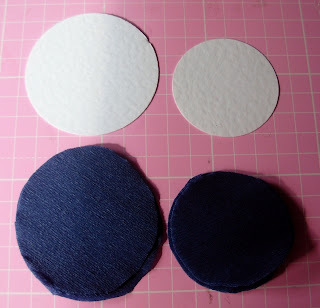 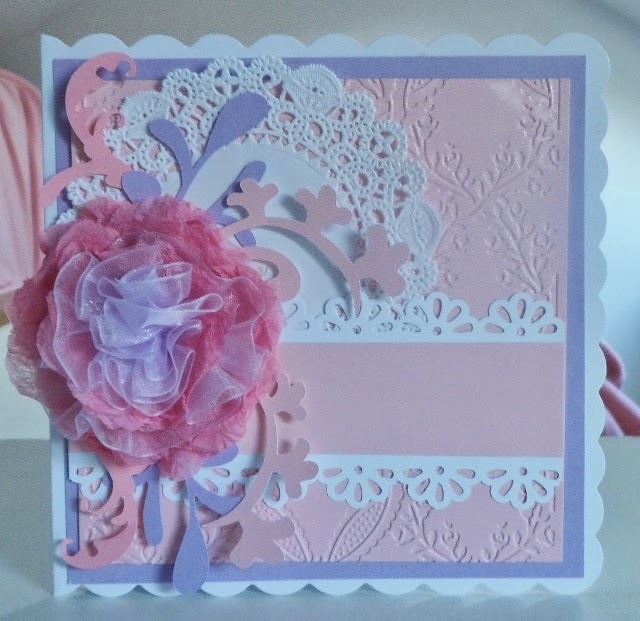 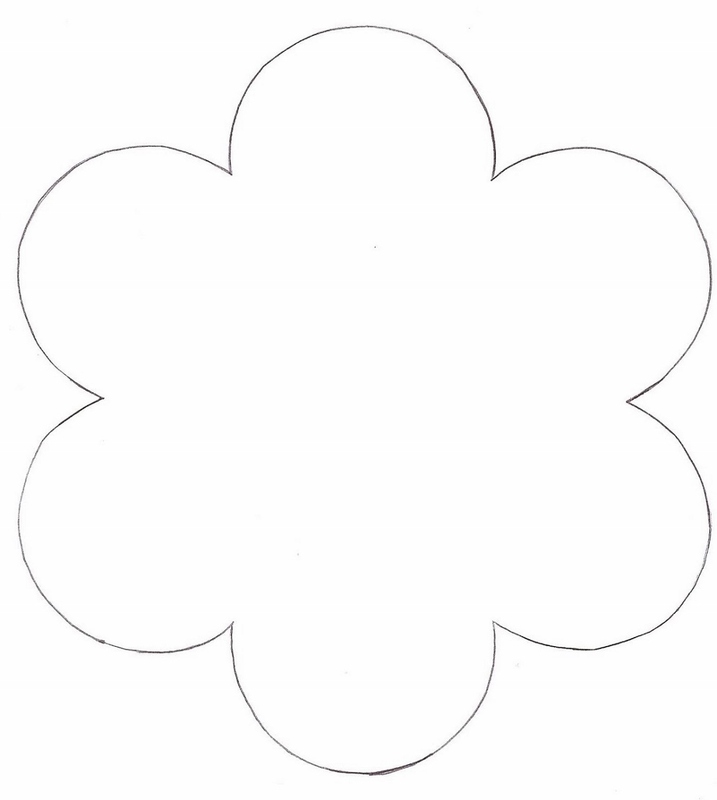 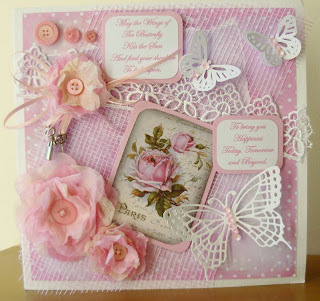 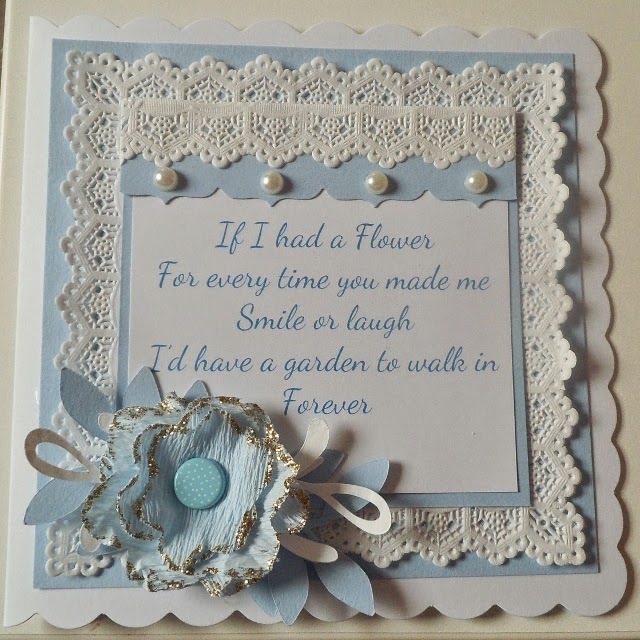 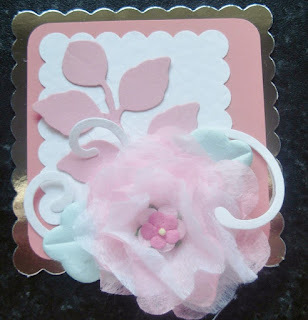 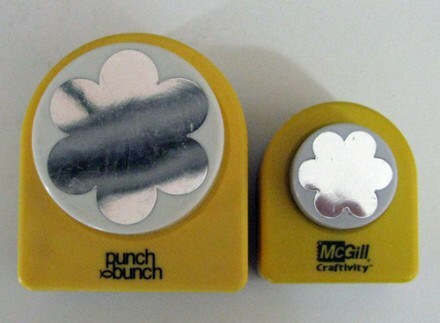 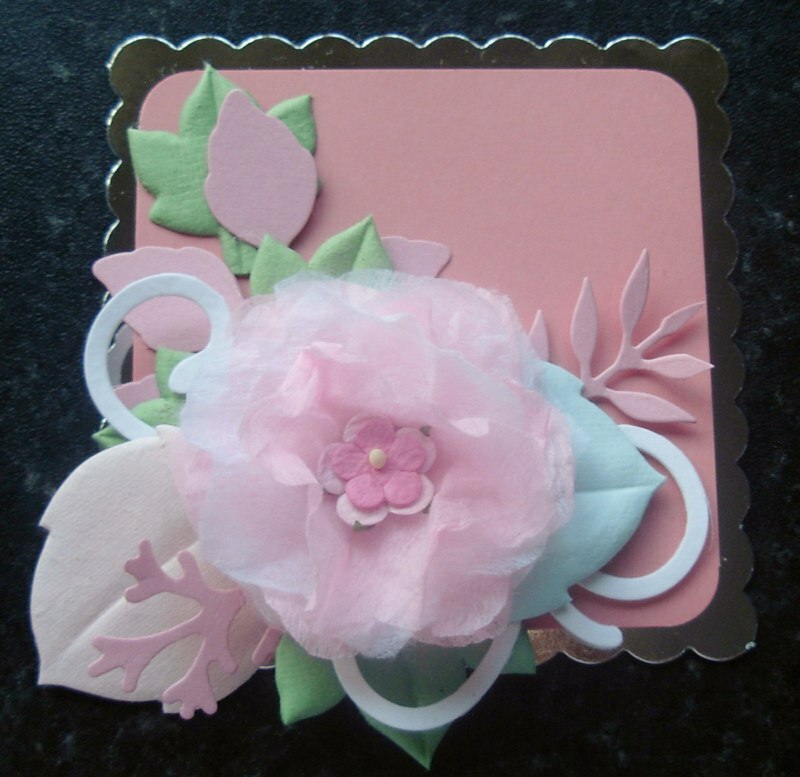 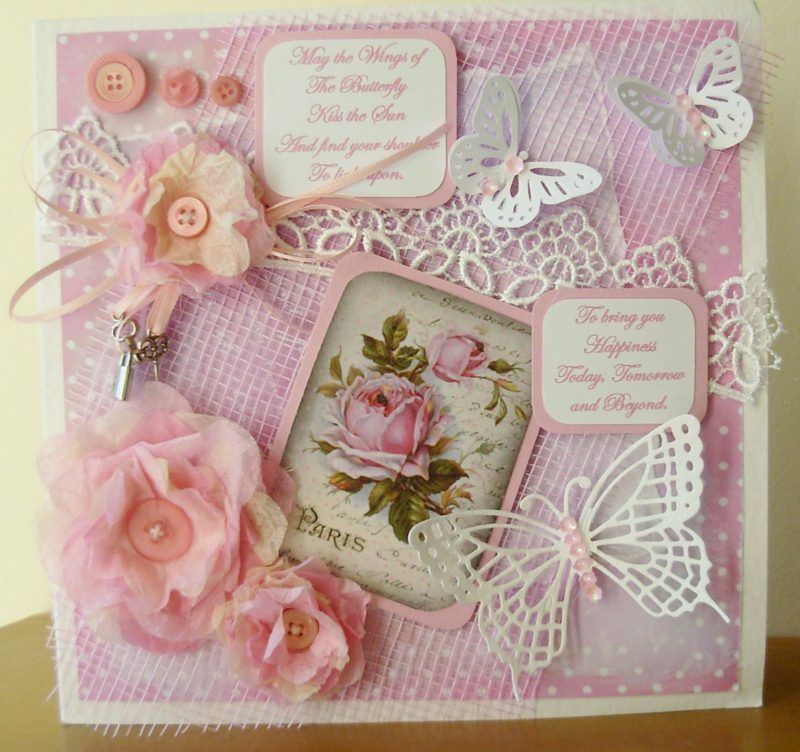 or you can download a 6 petal flower shape, and freehand cut out the petals. 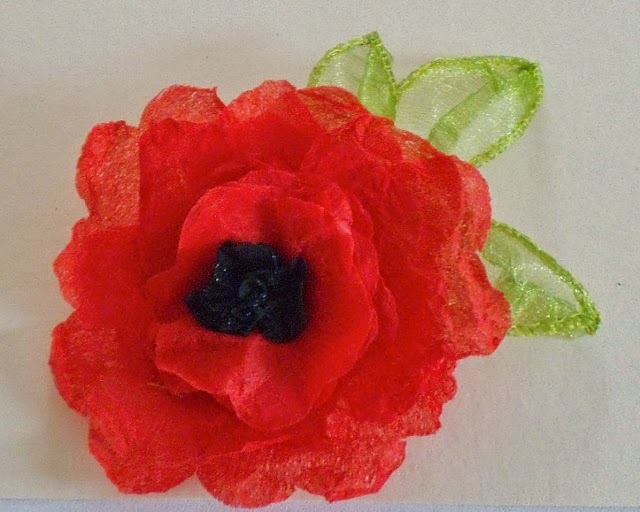 Poppy made with Red non woven fabric petals, with a black centre. 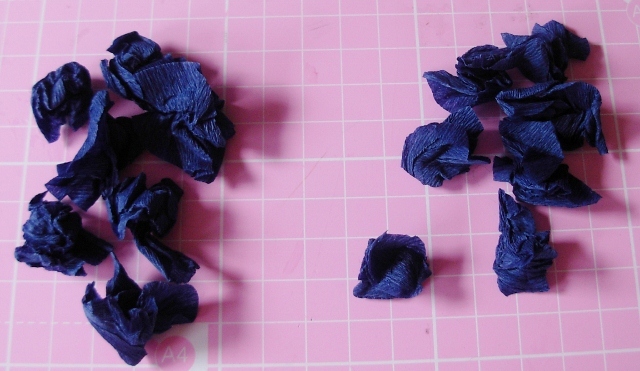 the organza leaves are made with wired edge organza ribbon. 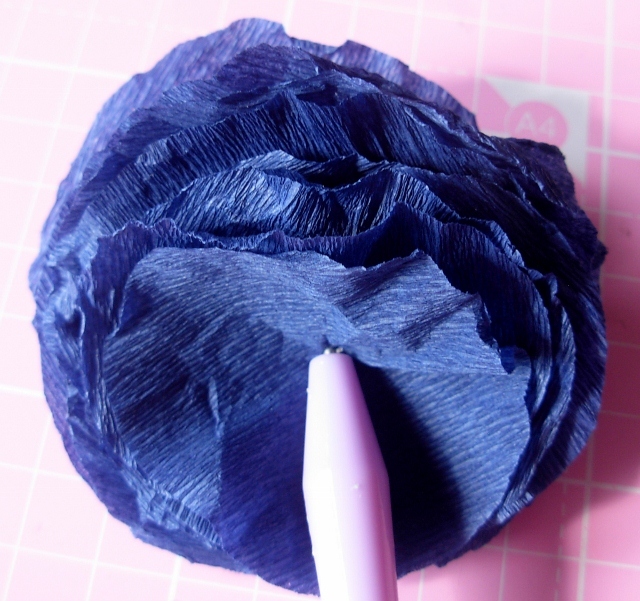 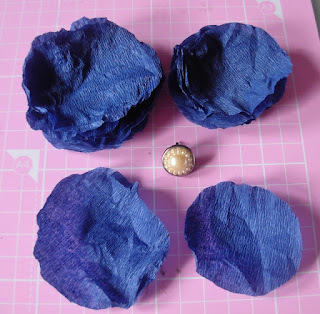 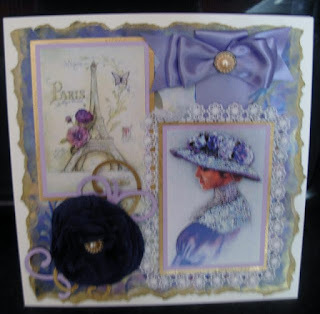 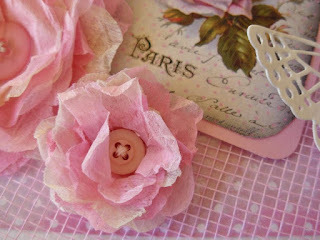 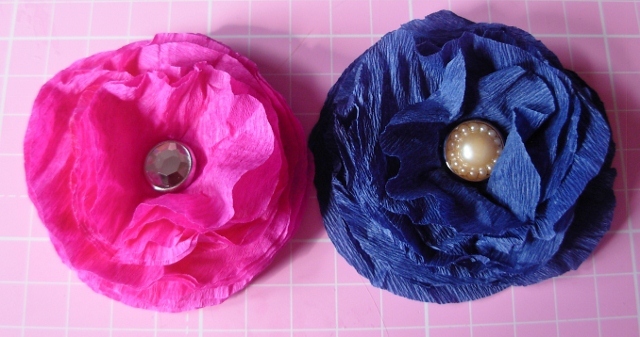 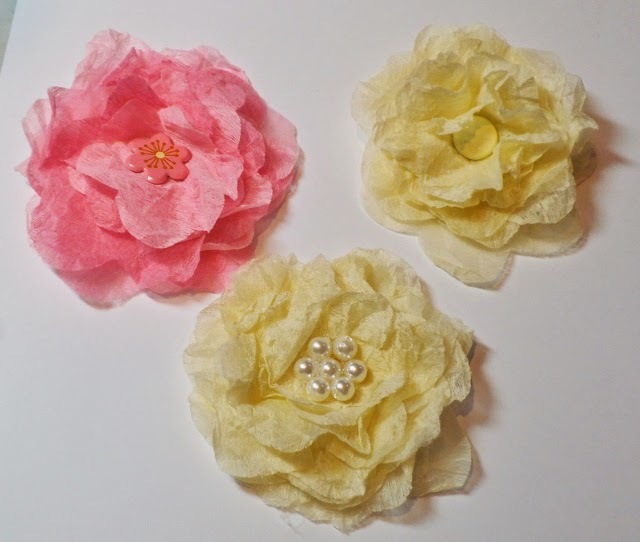 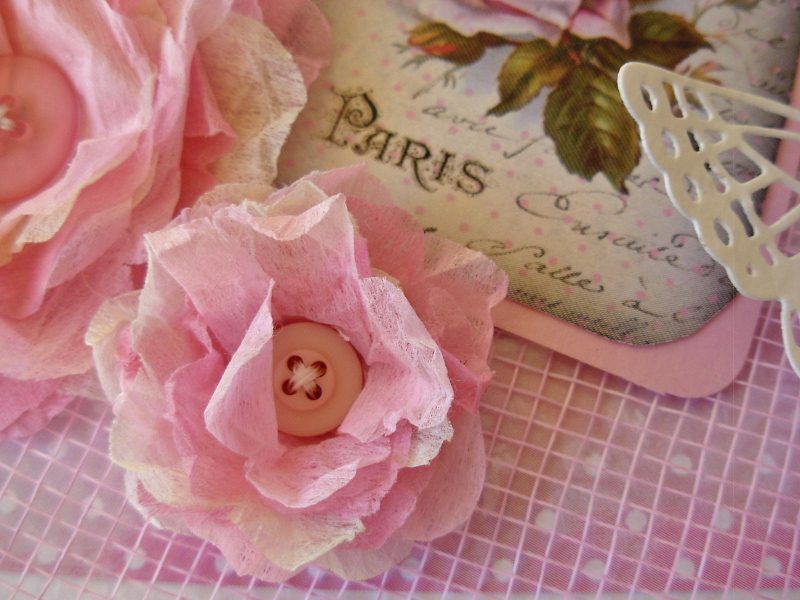 This flower has a gathered organza layers inbetween the paper layers, and a organza ribbon centre. each petal has been tipped with gold stickles.